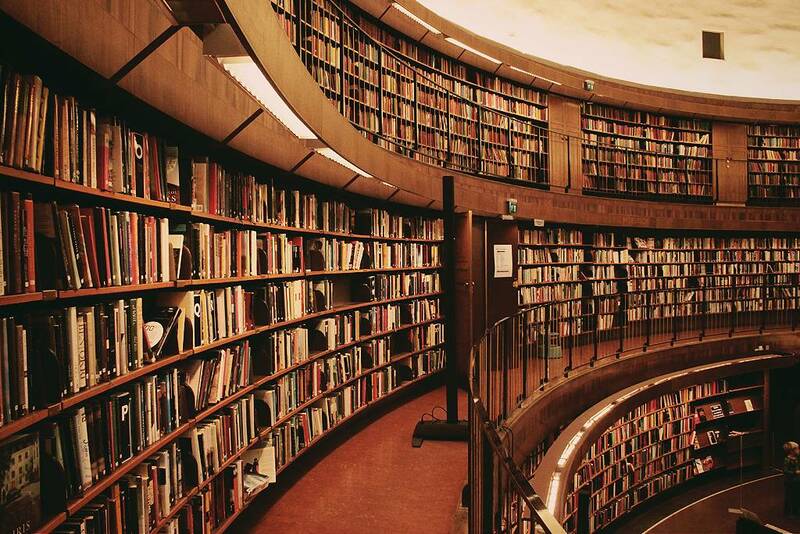 These days, we tend to take for granted that libraries will let us browse to our hearts’ content. But in the longer history of libraries, that’s actually pretty unusual. Before the twentieth century, and especially in Europe, most libraries had closed stacks: You applied for access (sometimes giving character references), and then you requested a book from a librarian, who would have it fetched for you. Not exactly a recipe for serendipitous browsing. 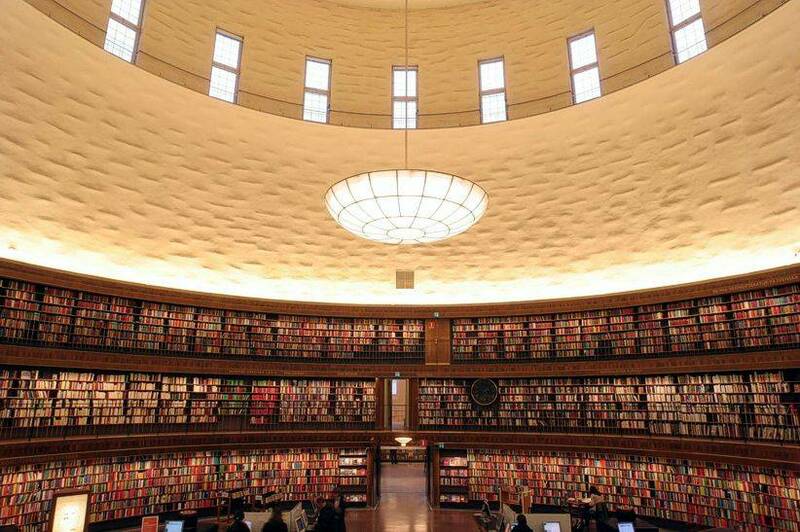 In 1928, the first Swedish library built on the open-shelf principle opened in Stockholm. Designed by Gunnar Asplund, after a study of U.S. libraries, it took openness seriously as a design feature. And it’s fantastic. 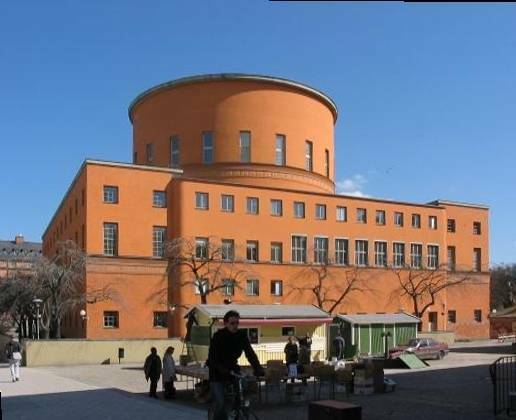 The west facade of the Stockholm Public Library (Stockholms stadsbibliotek). From Wikimedia Commons. Interior of the Rotunda of the Stockholm Public Library. Photo by arndalarm. Digital rendering from a concept developed by Olivier Charles, Armel Neouze, and Jacques Gelez for the International Competition for Architecture. Photo from CGSociety. 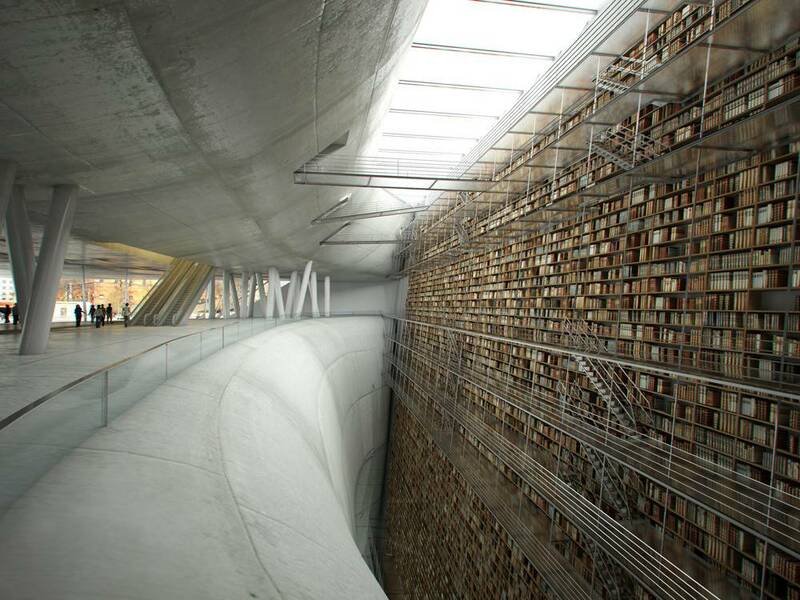 I’m not sure I’d want to use it (the acrophobic in me quails at the thought), but it’s certainly fun to look at.